It’s that time again! The big game is just days away. Are you trying to plan the food line up? Well, don’t you worry! I’ve got ya covered! If these yummy images above don’t make you hungry, I don’t know what will! There’s a little bit of everything to choose from..snack food, scrumptious and filling finger foods, delicious appetizers and mouth-watering desserts! Whether you’re planning a big Super Bowl party or just having a few friends over, these recipes are sure to please! Your mouth will be happy and your tummy full! A surefire way to keep your focus on the big game. Ok, now I’m really hungry! These all look DELISH!! 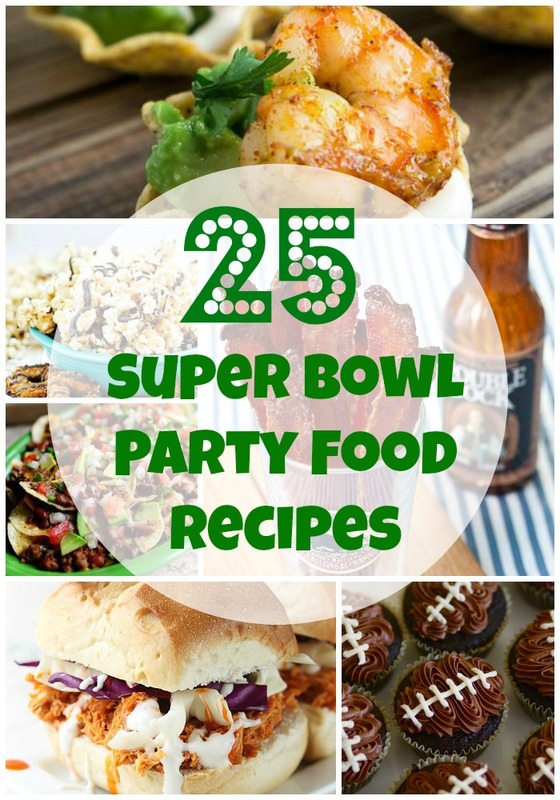 I’m definitely making a few of these Super Bowl party recipes for our weekend. Then you’ll catch me all cozy on the couch watching for the best commercial, pretending I am drinking that yummy margarita! What’s your favorite part about the Super Bowl…the big game, food or commercials? Girl my boys are going to be spoiled on Sunday thanks to you! Lol! Oh good! :) They all look so yummy!